Ronald A. Harper, DDS, passed away April 5, 2019. He was born July 15, 1957, to Dean and Sue. 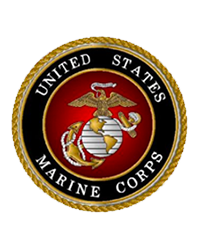 He served several years with the United States Marine Corps and was proud to be a Marine. Ronald owned and operated Dental Care Associates of Arkansas for more than twenty years and provided outstanding service to those under his care. He was a loving father and took great pride in his daughter, son in law, and grandchildren who were the light of his life. He is survived by his daughter, Veronica Carter, son-in-law and best friend, Jaston Carter, and grandchildren Steele, Cru, and Troy Carter; his mother, Sue Grace, beloved step-parents, many cherished siblings, extended family, and dear friends. He was preceded in death by his father Dean Harper, his brother Gary Harper, and the mother of his daughter, Jamie Peters. In lieu of flowers, memorials can be made to: Friendly Chapel Church of the Nazarene, Levy Church of Christ, or the Veterans Administration.